Force India have finally completed their driver line-up for 2013, confirming that Adrian Sutil will race alongside Paul di Resta. Sutil returns to Formula One after a year on the sidelines. Most of the teams confirmed their driver line-ups well before the start of pre-season testing in February, but Force India chose instead to wait until after they had run both of their candidates for the second race seat – Adrian Sutil and Jules Bianchi – at last week’s second test in Barcelona. Both drivers impressed the team, but in the end Force India went with the experience of Sutil rather than put a new driver in their car. 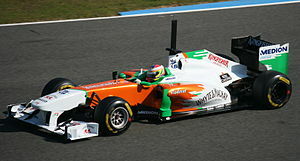 Sutil has already driven for Force India for four seasons, and for the team’s previous incarnation, Spyker, for a year. He is highly rated in the paddock and is expected to deliver results in his second stint at Force India. He was paired with Paul di Resta in 2011 before his brief absence from the sport, which adds some continuity to his career and the workings of the team. Following the departure of Nico Hulkenberg to Sauber, Force India are currently in the market for a race driver. Paul di Resta will drive one of the Force India cars, but his team-mate has not yet been chosen. Since testing in Formula One has been all but banned, there is no enormous hurry to choose drivers. There are only 12 days of testing permitted this season, the first of which will be 5 February. Before that happens, all the drivers can do is train, get to know their engineers, have seat fittings and attend PR events. Actual driving is not part of the job for the next three weeks. But inevitably an announcement must happen by the time testing starts, as both race drivers will need time in the new car before the start of the season. There are two strong candidates for the second seat at Force India. 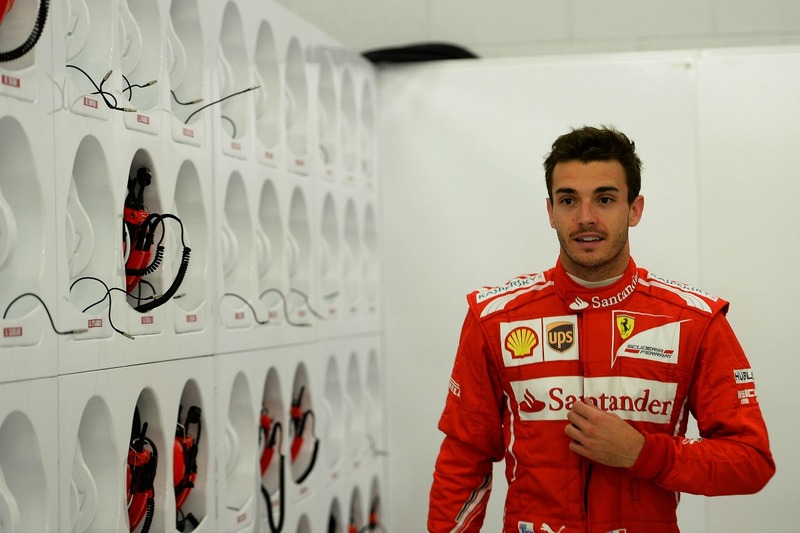 2012 test and reserve driver Jules Bianchi has long since proven himself as a racing driver. Bianchi won the French Formula Renault 2.0 series in 2007 before taking the Formula 3 Euro Series title in 2009. Third places in the 2010 and 2011 GP2 championships were followed by second place in the 2011 GP2 Asia series and second place in the 2012 Formula Renault 3.5 series. Alongside his regular racing, Bianchi was Ferrari’s test and reserve driver in 2011 before being signed up to test for Force India in 2012. Although Bianchi has not yet raced in Formula One, he has tested Formula One cars on a few occasions and is certainly equipped for a race seat at the top level. Bianchi is part of the Ferrari Driver Academy, which has led to suggestions that Force India could source engines from Ferrari in 2014 as part of a deal to sign the young Frenchman as a race driver. Force India’s current engine deal with Mercedes expires at the end of 2013 and it has been confirmed recently by Paul di Resta that the team has not yet secured engines for 2014 and beyond. Bianchi’s major competition for the Force India drive is Adrian Sutil, who raced for the team until the end of 2011 before being replaced by Nico Hulkenberg in 2012. Sutil is known for his speed over a single lap, and has been praised his former team boss at Spyker, Colin Kolles, who believed he had the talent to challenge Lewis Hamilton. When Sutil left the team, he was facing criminal charges for assault after being accused of cutting Genii Capital (owners of Renault at the time) boss Eric Lux in a Shanghai nightclub with a champagne glass after the 2011 Chinese Grand Prix. 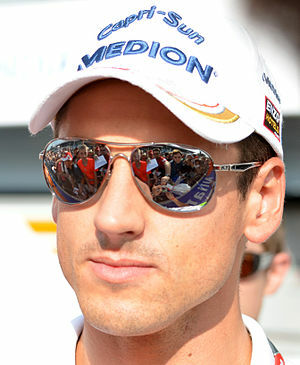 Sutil was tried and convicted in January 2012, and received a suspended jail sentence and a fine. It has since emerged that there are no legal barriers to him resuming his Formula One career in 2013, which was the only possible question over his eligibility to return to Force India. Whether Bianchi or Sutil, the second Force India driver will certainly be announced before testing starts on 5 February and probably before the new car is launched at Silverstone on 1 February.